Posted April 16, 2014 by Terra & filed under Home Inspection Calgary. 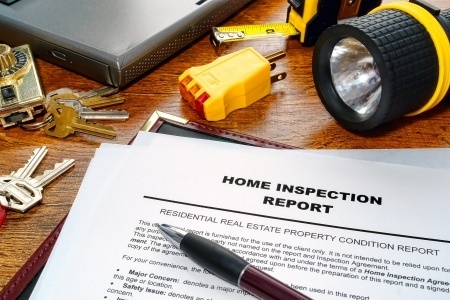 Regardless of whether it is 50 years old or was just built a few months ago, each and every home should be inspected by a certified home inspector before a real estate transaction is conducted. This isn’t to say that your inspector will come back with a seemingly endless list of problems for you to address, but you know what they say: better safe than sorry. Plus, if you are the one interested in purchasing the home, the findings from an inspection could end up saving you a lot of time, money and hassle. Poor Ventilation – All fan ventilation systems should be pointed towards the exterior of the home – especially those in the bathroom. Unfortunately, we often find that when a home was originally built and outfitted with these ventilation systems, they were actually installed to vent into the attic instead. The reason why this is so bad is because all of the excess moisture that is accumulated in your bathroom will then filter into the attic, causing mold to grow on the sheathing. Chimneys and Flashings – One common issue we see in this particular area of a home has to do with the chimney flashing. Installed around the edges of a chimney as a means of preventing water from dripping through from the roof, issues with the metal flashing could bring that unwanted rain leakage inside the home. Plumbing – As you could imagine, leaks around sinks and around toilets are highly common. Whether these crop up due to damaged seals, poor workmanship and the use of improper materials, these particular issues can be found on any number of home inspection lists. If you have a much older home, you may also find water pressure to be an issue; however, as proven with most newer homes, utilizing copper and PEX piping can eliminate this issue. Of course, these are only a few of the most common issues we find while conducting a home inspection? Were there any that surprised you? Let us know in the comment section below and contact Accurate Home Inspection for more information today!